Caves, along with deep oceans, remain one of the few largely unexplored regions of earth. Places this difficult to traverse do not give up their secrets easily. Entering and mapping the Cave of Secrets is designed to help you to examine the parts of you that you choose to keep secret. Unlike our shadow and our unconscious (which we explore in the Oceans of Mysteries), elements which are often hidden from us until we learn to see them, the Cave of Secrets holds your awareness of shame, guilt, unexpressed dreams, dark desires and other “socially unacceptable” parts of you. 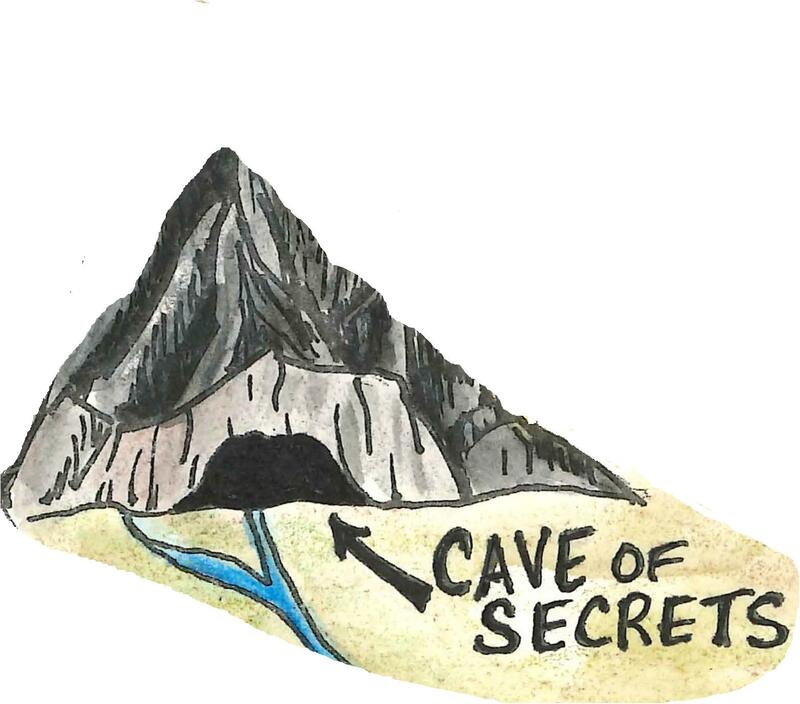 The Cave of Secrets is the container for the things that you fear would turn others against you if they were revealed. Yet caves, despite, or perhaps because of their darkness, are full of beauty and unique forms – creatures that have adapted to live in darkness, and stone formed drop by drop over millennia into stalactites, flowstone, stalagmites, curtains, and cave pearls. Besides holding your darker secrets, caves can also contain the parts of you too delicate to bring into the harshness of full light – parts of you so beautiful and unusual that they remain protected in the cave. Exploring this territory is dangerous but exciting. Mapping can be difficult in the dark. What three things about you are you most afraid of sharing with others? What are your main sources of guilt and shame? What parts of you are beautiful, but too delicate to be exposed to the light? What would you put in your map of the Cave of Secrets? Do you hold important secrets for others? Where do you hide these for safekeeping? What would happen if you brought these secrets out of the cave? Should you? Prior to thinking of the cave as repository for secrets, I thought of it as place for mirrors – people who mirror you so you can see elements of your self (this is now explored in City of Mirrors). Student artwork included in this gallery includes both caves as places for secrets, and as places for mirrors. My deepest thanks to the artists willing to share their images.